A Warm Crackling Campfire candle is flickering in the kitchen, I’m sipping a warm mug of chai and outside I hear sounds of a football game going on at the University in town. It is surely autumn, my friends! I know it’s a favorite of many. It’s a favorite of Paul’s and mine. Just this weekend we were discussing the “smell” of fall in the Ozarks and how it’s so unique. He’s actually getting a lot of that smell this week…I dropped him off yesterday for a week of solo backpacking on the Ozark Trail. He decided a while back that he wanted to do a solo trip in the fall in hopes to have a retreat of sorts, but also to be able to catch the leaves changing. So yesterday we drove south with his pack full and nerves in my stomach and I watched him walk into the Ozarks with everything he would need for the week on his back. I think I chewed all of my nails off on the way back home. But I cannot wait to hear his stories when he gets back! And to take my mind off of the fact that he’s spending the week alone in the woods, I made muffin mix (and muffins!) 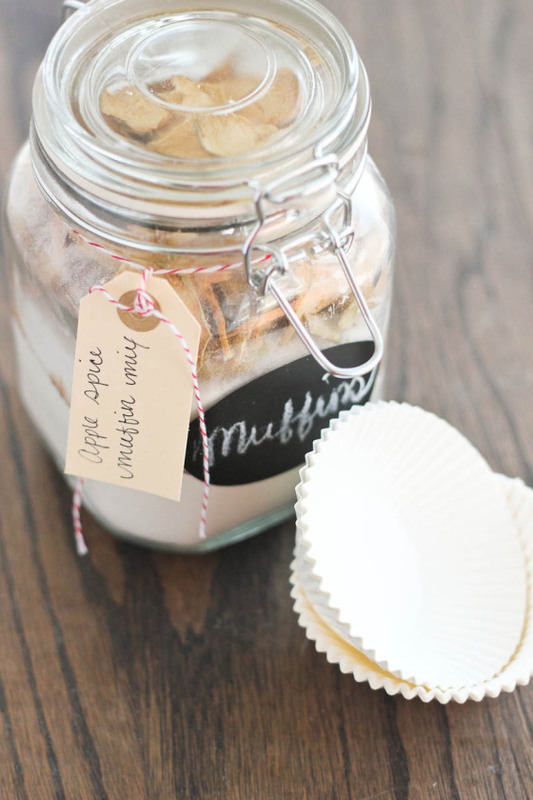 I love giving food as gifts and this muffin mix is so simple to put together. 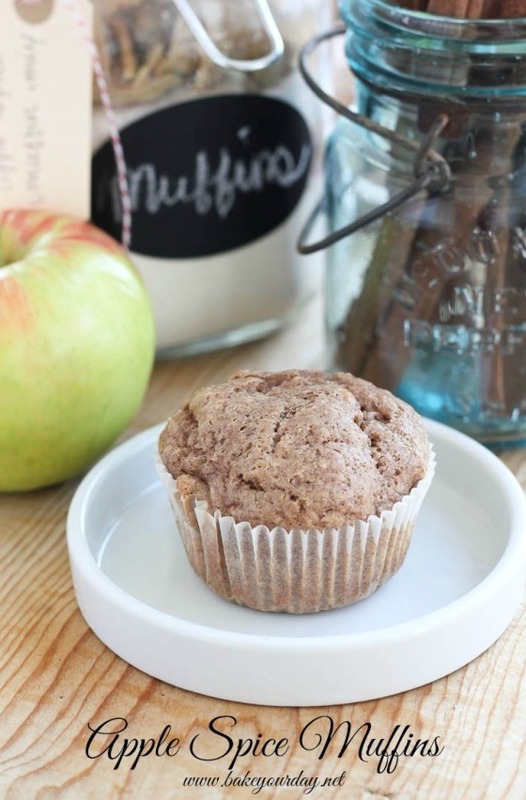 And nothing says fall food quite like apples and cinnamon! 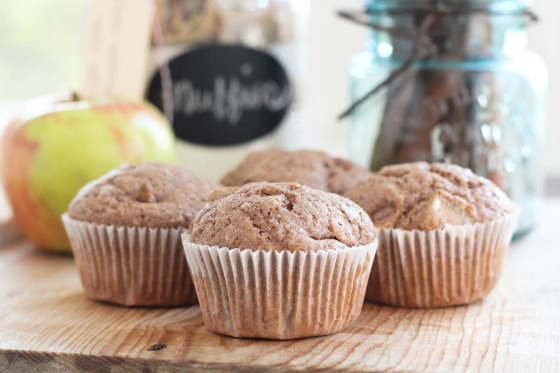 The recipes for Apple Spice Muffin Mix & Apple Spice Muffins can be found on Imperial Sugar’s Website. Enjoy! This post is sponsored by Imperial Sugar, but as always, my opinions are my own. Thank you for supporting the brands I truly love! This would be the perfect housewarming gift or even gifts for the holidays. Love this!! Love this holiday gift idea! Oooh good luck to Paul- that sounds so exciting! And I’m sure he’ll have plenty of delicious food to come home to 🙂 These look so good!! Perfect mix to have on hand for when the urge for muffins hits! Solo backpacking <– That sounds wonderful but I'd be chewing my nails if my husband did that, too. 🙂 This muffin mix sounds delicious — perfect for a cozy fall day of baking! Oh gosh, I don’t think I could let my hubby go off by himself for a week in the woods! I’d be freaking out too, but what a great opportunity for him! I love this muffin mix too! So perfect to have handy this season! We don’t really get Autumn where I live now and this post conjoured up the smell of it where seasons really change. I envy your husband – I’d love to got off on a solo hike somewhere beautiful. I love that this is apple spice instead of pumpkin, what a nice change! I love autumn as well! I think it’s probably my favorite season for fashion and food! Good idea to make mixes. I don’t know why it didn’t dawn on me to premix these things so I can make cakes and muffins in a jiffy! This makes such a great gift to give people just cause you love them and want them to have something delicious in their lives! Autumn is definitely one of my favorite seasons because I love the changing colors, sweater weather,and of course, the FOOD! Using this recipe for me to make now, do I still have to use apple chips instead of fresh apples? Yes, I want to know also – can I use fresh apples instead of the apple chips???? Will the moist apple made a difference in the wet ingredients??? Thanks!! Hi Yolanda, yes, if you are making the muffins right away, you can use fresh apples. If you are making the mix to store in a jar you would need to use dried apples. Enjoy!